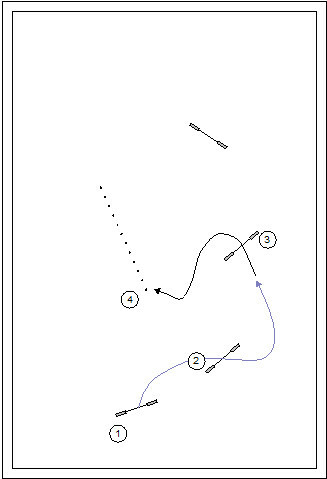 This week I’m drawing a course from the NDAL catalog for play in class. I was looking for a course that allows us to test our homework from our last workshop, and provide for new homework and testing. 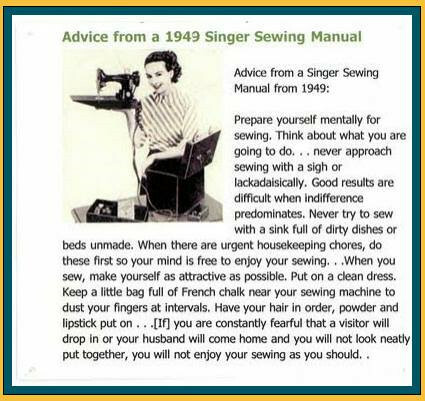 I’ve already blogged this on the Top Dog blog, but with a slightly different slant: Cherry Picking from the Catalog. Running a course that you’re previously run allows a comparison of performance over time. For example, we ran this course with our young crazy red-head boy Phoenix, when he was barely old enough to compete. So it will be interesting to compare his score and time after a couple years of additional training. Two of my friends, Brenda Gilday and Erica Behnke also ran this course with their young dogs. While they are not in my classes (because they live a couple hundred miles away from here), it would be very interesting to see how they do on the course today. My complete lesson plan is featured below. 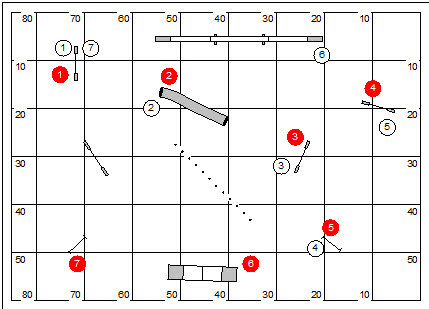 Our league course this week is numbered sequence that will be scored Time, Plus Faults. We’ll begin by reviewing the homework assignment from our last class togther. Weave poles ~ In these sequences we’re testing whether the handler can work away from the dog at an oblique angle as the dog weaves. In the white numbered sequence the handler will stay south of the containment line; in the red numbered sequence the handler will stay north of the containment line. 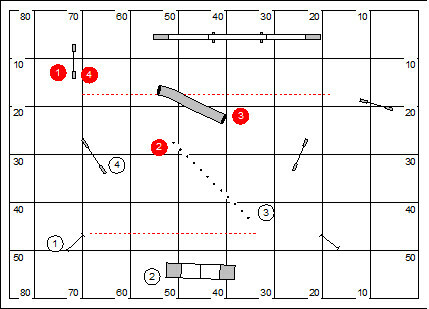 Back Pass ~ In these sequences we’re testing whether the dog has been taught a Back Pass (tightly circling the handler’s body). 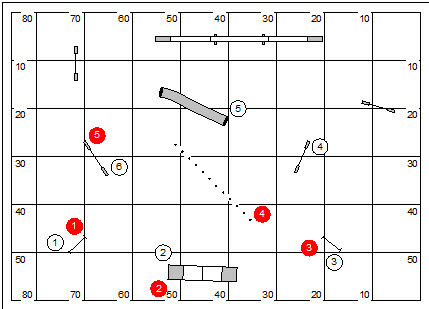 The red sequence requires the dog to move around the handler in a clockwise movement; the white sequence is counter-clockwise. We want to cultivate a powerful instinct for the Flip (more commonly known in the world these days as a Ketchker). 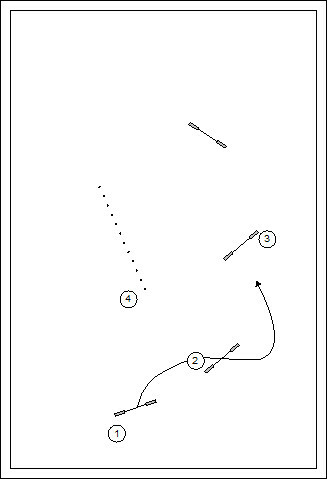 The Flip is a combination movement: Front Cross to Blind Cross. 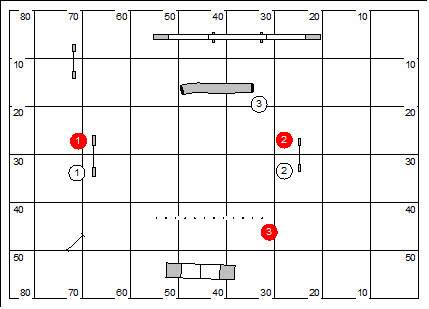 In the red sequence we’ll practice the Flip at the #3 jump to tighten the approach to the weave poles. 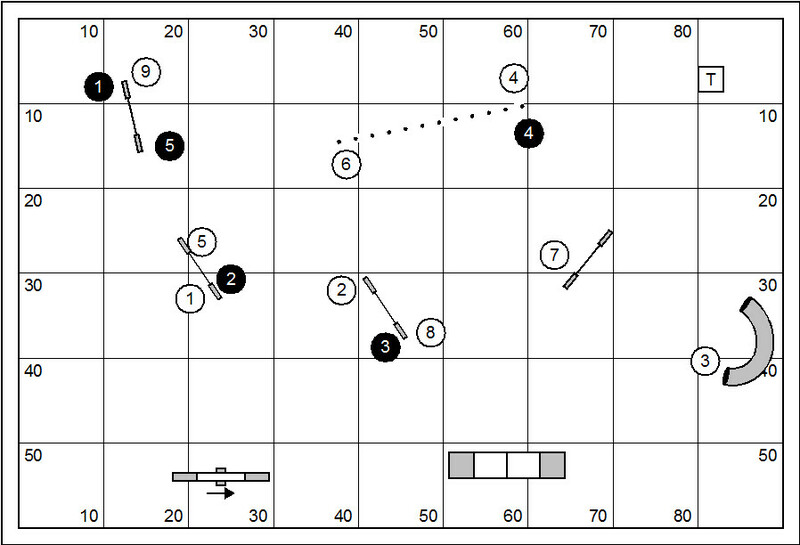 In the white sequence we’ll transfer the logic of the “backy-uppy” presentation that begins the Flip at the pipe tunnel, to pre-cue the dog’s turn on his exit from the tunnel. 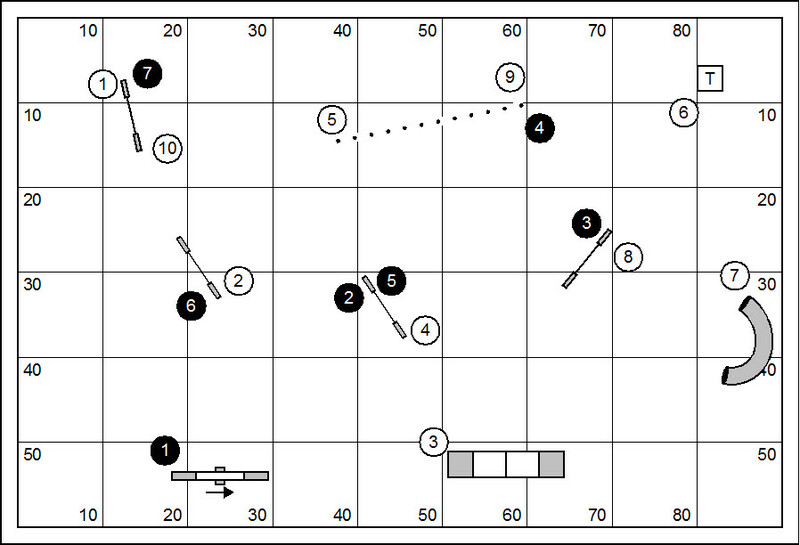 In this exercise a lead-out would be advantageous. If necessary we’ll have somebody hold your dog while we lead out. The price you pay for this service is a short lecture. 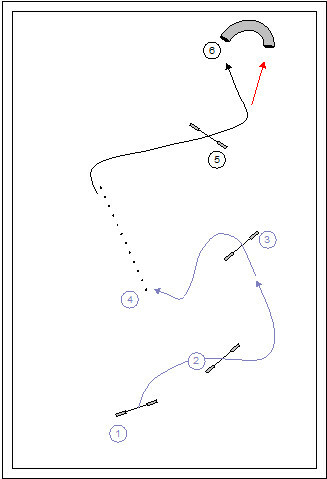 We will practice a three-part methodology for the Tandem Turn. 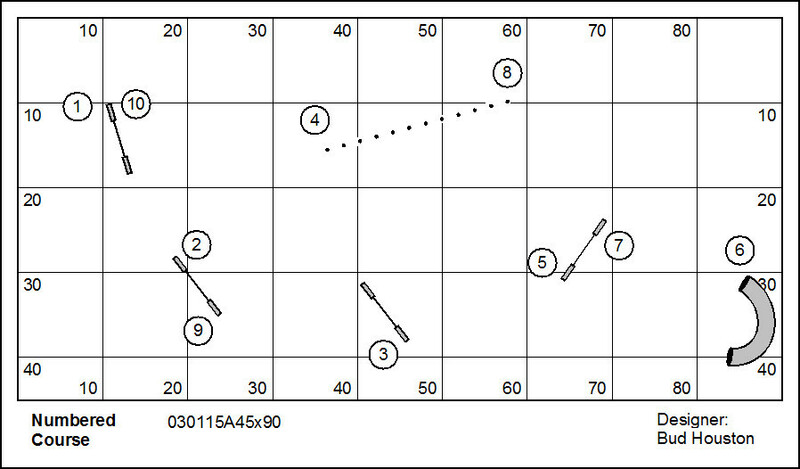 1) the Intro Step; 2) The Lateral Distance Step; 3) the Layered Tandem. White numbers turn left; red numbers turn right. Practice a lead-out from while your dog remains position. We will test all three of the classic obedience positions. 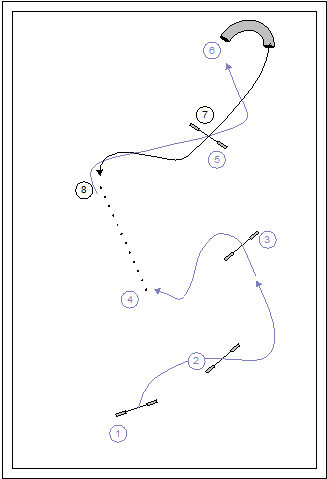 Practice the Tandem Turn. 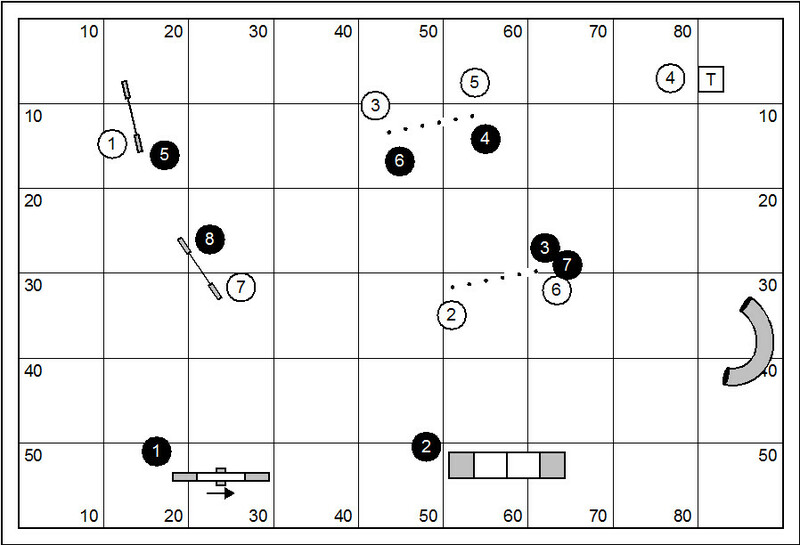 In our next session we will test the turn in both directions, and whether you can layer the turn. A person named Cheryl Matthews left a nice comment on the Glossary of Agility Terms that I keep as a page on this blog. 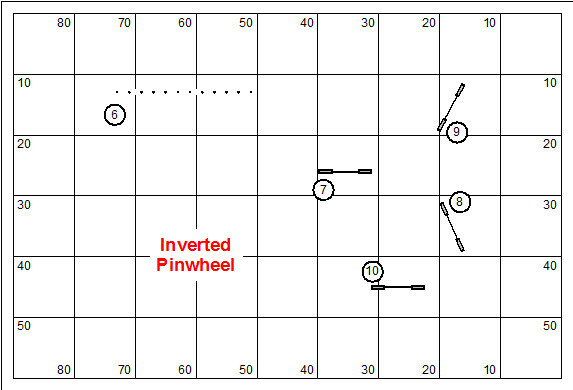 In her comment she mentions a thing called an “Inverted Pinwheel”. Apparently this is something they’re teaching AKC judges in preparation for the up and coming Premier class. 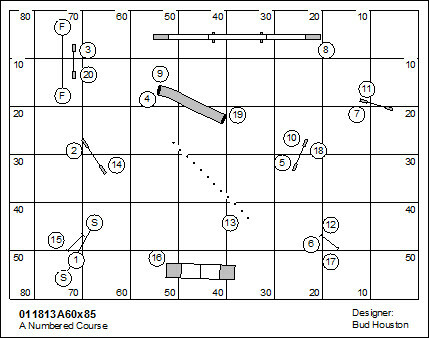 Like the USDAA’s Masters Challenge class, the Premier will put up wickedly difficult European-style challenges. 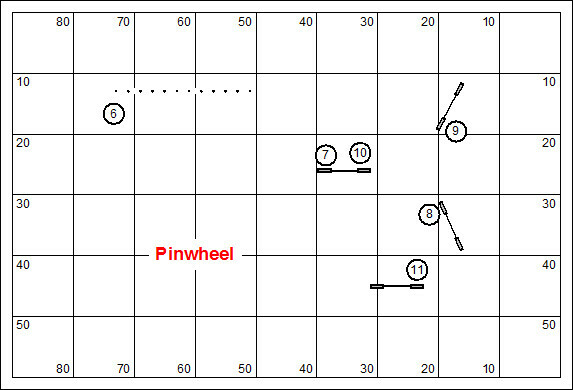 This probably isn’t a rigid definition of the inverted pinwheel, but a demonstration of the design concept. 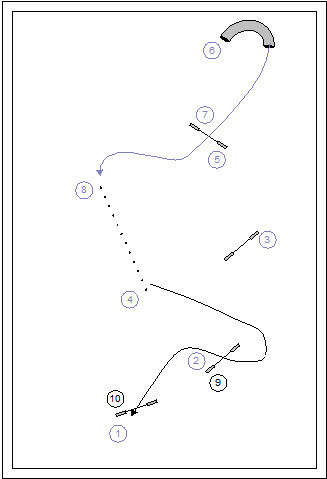 #7 is a backside; followed by a pull/push through to #8. 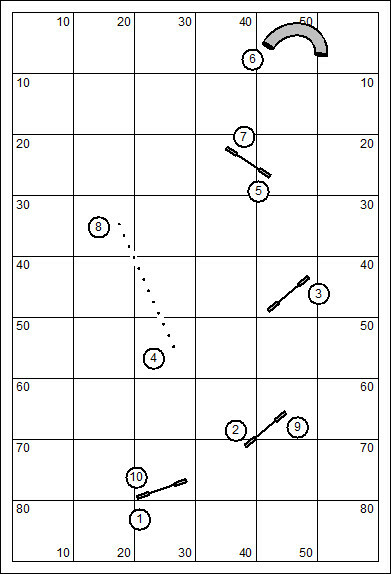 The transition to jump #9 is complicated by a choice of turning direction. And the approach to jump #10 is another pull-through. Pretty wicked eh? I think we’re looking at a whole new generation of training science, both for the dog and for the handler. 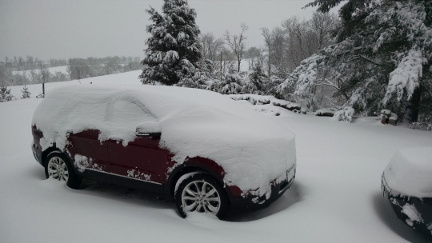 You are currently browsing the Bud Houston's Blog blog archives for March, 2015.